< $1001 inc GST - 48 Hours (2 working days) after artwork proof sign off. 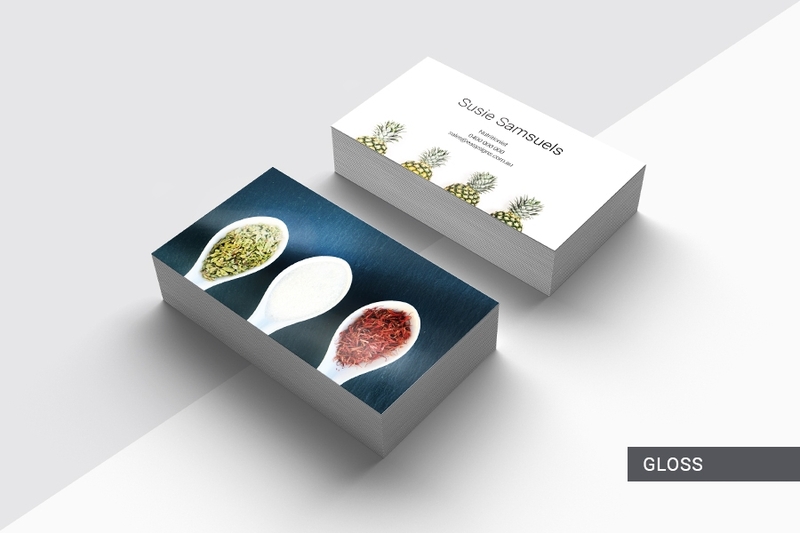 Looking for a great quality Business Card that introduces you without speaking a word? Take a look at our Premium Business Cards! 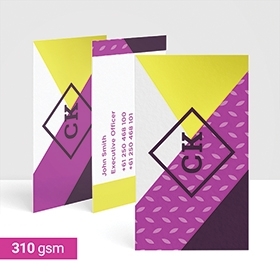 These Premium Cards are 360gsm with a complimentary Gloss or Matte lamination. These laminates will enhance your design for a more sophisticated look and feel, leaving a memorable first impression! How long will my order for business cards take to produce? Can I write on my Premium Business Cards? How are the business cards printed? Our Business Cards are printed on the HP Indigo 7800 Digital Press, which is the fastest 13 x 19 inch format digital sheetfed press in the market. The HP Indigo printers combine proven quality, versatility, and breakthrough intelligent automation to maintain the highest possible productivity. Sophisticated colour automation ensures accuracy and consistency from job to job. 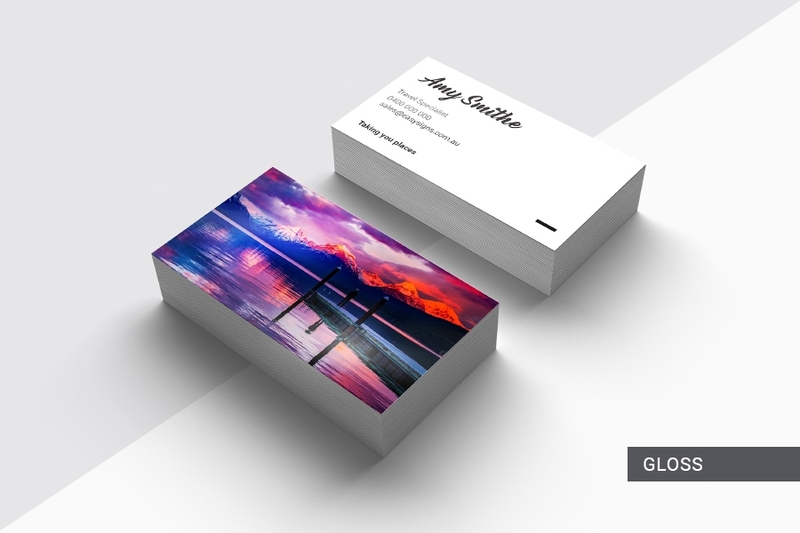 Can I get a custom size business card? 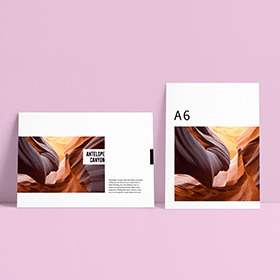 The Premium Business Cards are printed onto a high quality, thick 360gsm bright white ultra smooth coated artboard, which will give your business card great rigidity and a premium feel. This provides the perfect surface for the full colour ultra high resolution print. 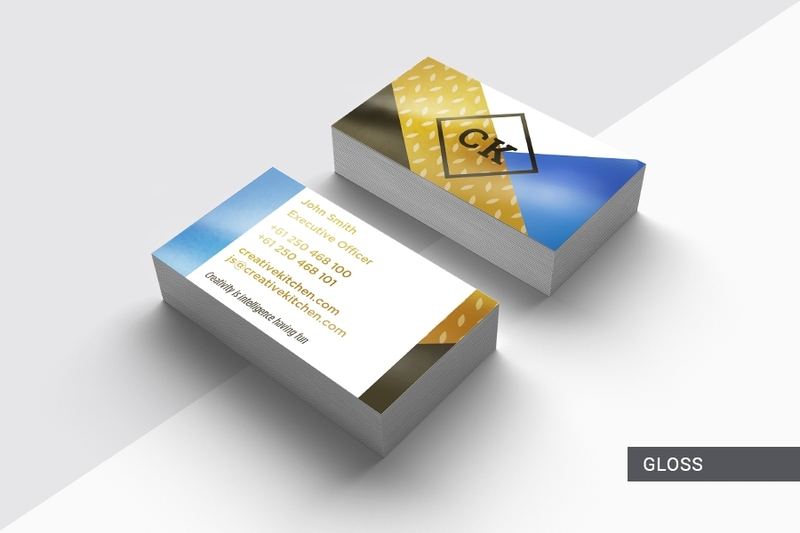 Can I get my Premium Business Cards without lamination? How are the business cards packed for delivery? 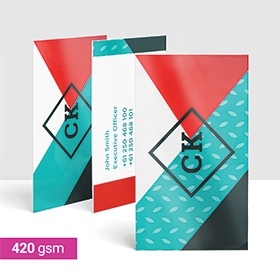 The Business Cards are shrink wrapped and packed carefully inside a cardboard box, then inserted into a bubble lined satchel to provide protection during transit. 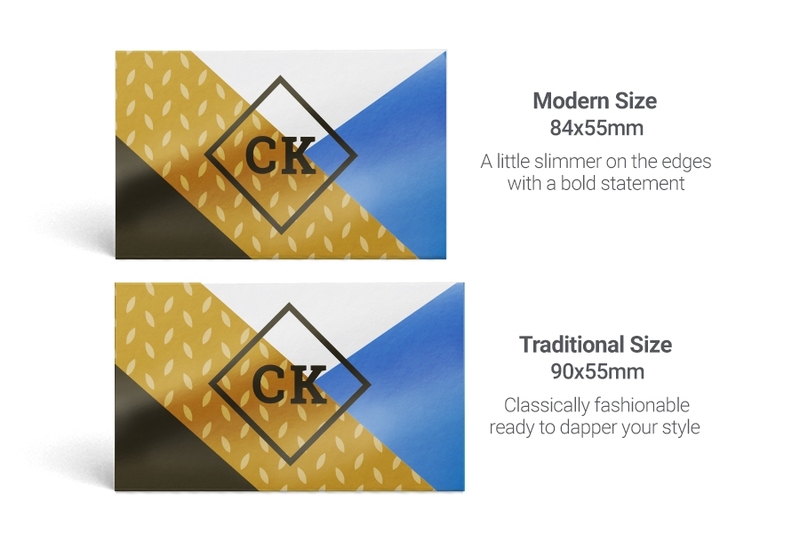 If you order different designs, each design will be packed seperately. 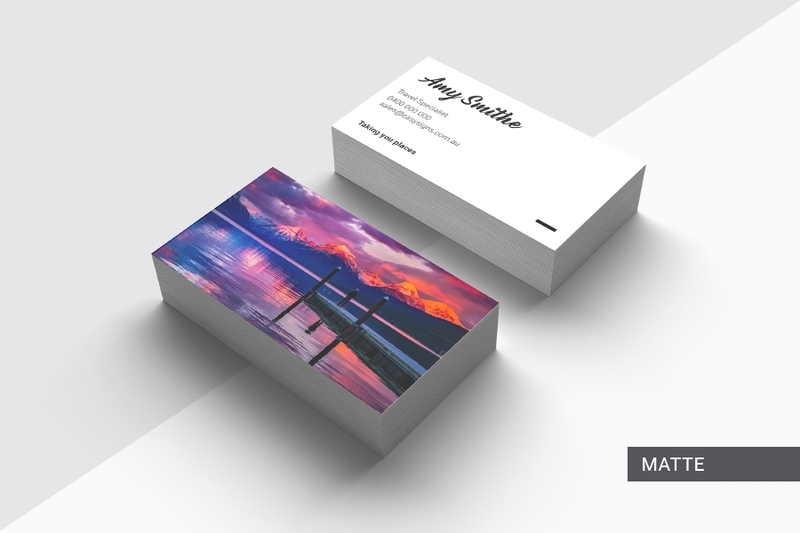 Are Easy Signs Business Cards printed double sided? 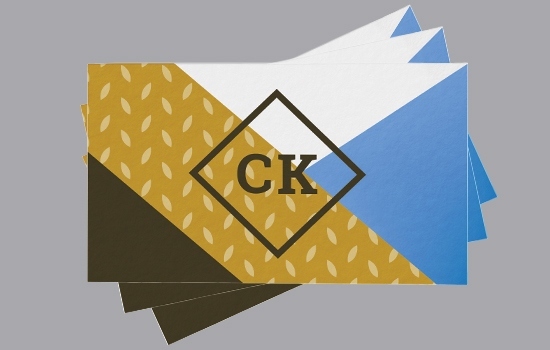 Yes, all of our business cards are printed in full colour on both sides at no extra cost. Because everyone wants to look great from behind! Can I get my business cards with print on one side only? Yes we can print on one side only and leave the other side white. There will be no difference in price as we offer double sided print at no extra charge. Can you crease and fold my business cards? No. Unfortunately we do not currently offer any creasing options for Business Cards. Why do you only offer coated business cards? Coated Papers not only provide a sharper print quality, the coated materials are also more economical. By offering coated paper business card we believe you get the best value for money to communicate your message. Do you offer any other printing embellishments? No. 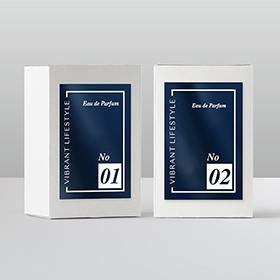 Besides our great range of laminates, we do not offer any additional embellishments such as Spot UV coatings, foiling or embossing. 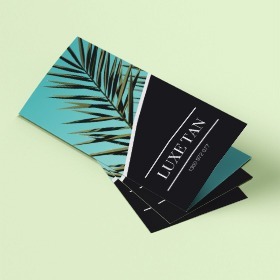 Our Matte laminate has a modern aesthetic that ensures your card is anti-glare with no shine in sight! Extremely smooth to touch and sturdy like a good old handshake! 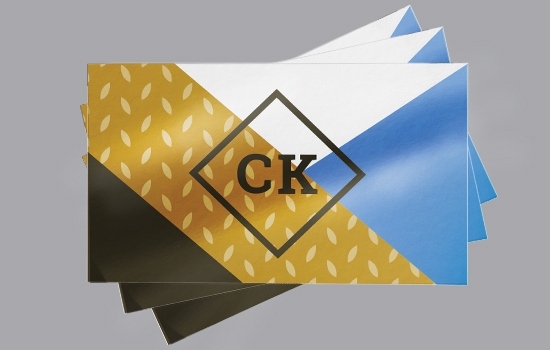 Our gloss lamination features an eye-catching shine which makes your Business Cards stand out. This is great for designs that are image based to give that extra POP. The texture will be smooth just like your introduction! 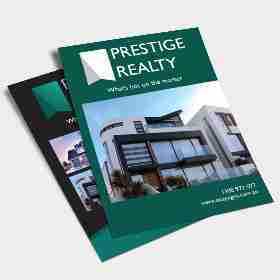 Establish a cohesive range of marketing materials that stand out from the crowd. Try our 360gsm Postcards that will compliment your Premium Cards and make your Brand Identity look and feel consistently identifiable. You’ll be sure to impress everyone! The printer that’s revolutionising Small Format Printing! 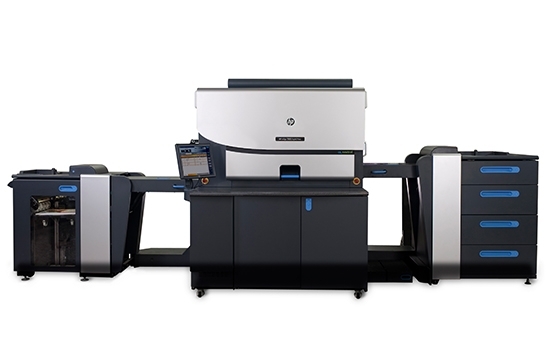 The HP Indigo 7800 Digital Press has outstanding offset-matching quality with numerous print functionalities and integrated intelligent automation to maintain the highest possible productivity. It offers reduced production waste, excellent energy efficiency, carbon-neutral manufacturing and has been independently tested carrying the Green Leaf Mark* from Intertek. 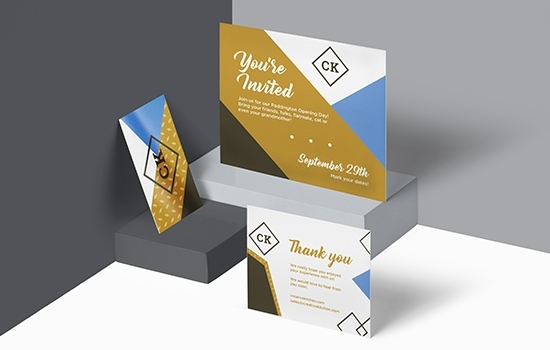 The HP Indigo 7800 Digital Press allows us to create substantial products for your marketing materials such as Business Cards, Flyers, Postcards and much more! *Green Leaf Mark is used to demonstrate that environmental claims have been independently verified.